Bergisch Gladbach - not only the city itself is highly worth seeing, but also the new parking guidance system from SWARCO. Thanks to variable message signs, the search for a parking space is very clear and simple. 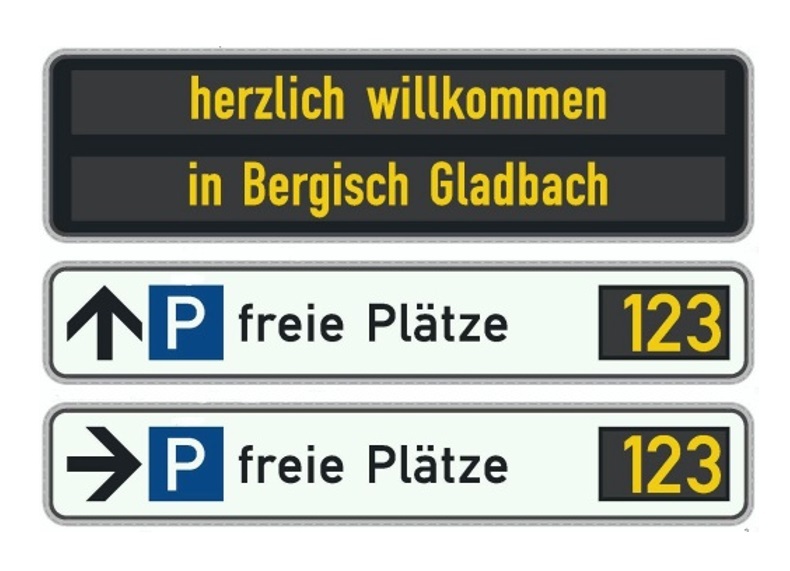 "Welcome to Bergisch Gladbach" is written in yellow letters on the LED display when you drive into the pretty district town about 10 km from Cologne. The variable message signage is part of SWARCO's modern parking guidance system - with the aim of making better and more efficient use of existing parking facilities. The new dynamic parking guidance system from SWARCO integrates 8 parking facilities. A special feature is the public car park "Schnabelsmühle", in which the entering and leaving vehicles are recorded with video technology. A total of 29 signs (VMS) permanently show the current status of available parking spaces. These VMS also include 5 variants with two-line information on the display. Here you can also get information about local events, news and much more.